Since joining Pei Cobb Freed more than 30 years ago, Yvonne Szeto has spent her career advancing the firm’s tradition of thoughtfully considered and well-crafted public works. A member of the first succeeding generation of design partners, as well as the firm’s first female partner, she has distinguished herself with an approach that draws from the tradition of the firm while embracing current issues in architecture. In her corporate work, she was responsible for the ABN-AMRO Bank in Amsterdam, a headquarters that was awarded AIA Top Ten Green Building, AIANY Sustainable Design and Chicago Athenaeum Awards. Her explorations in workplace and corporate identity continued with the headquarters for OECD in Paris, Federal Reserve Bank in Kansas City,and IMF in Washington, D.C. The latter was awarded LEED Gold and EPA Energy Star Awards. In her cultural work, Ms. Szeto has sought to create sculptural compositions that create a lively presence in the public realm. The NASCAR Hall of Fame in Charlotte is an iconic landmark, evocative in its expression of speed and spectacle. Ms. Szeto is currently designing the expansion of the Spencer Museum of Art in Kansas. 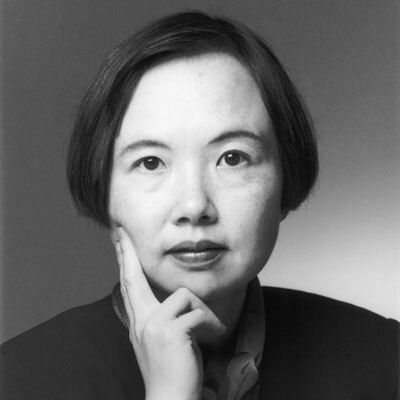 A hallmark of Ms. Szeto’s work in higher education has been the issue of campus context – Bossone Center at Drexel University, Institute for Critical Technology & Applied Science at Virginia Tech, Fiterman Hall for City University of New York, Fordham Law School in New York City – she has addressed these projects in unique ways adapted to the exigencies of each challenge. Beyond the significance of her built work, Ms. Szeto has lectured widely on sustainability. As a LEED-accredited partner, she is a leading voice in the positioning of the firm as a leader in sustainable practices. She is a Fellow of the AIA and a member of the Harvard Design Magazine Board.